Minister of Public Enterprises Pravin Gordhan has distanced himself from former finance minister Nhlanhla Nene’s meetings with the Gupta family, repeating that he had never arranged or agreed to meetings with the Guptas himself but had encountered them at public events. This is contained in a written reply to a question from Economic Freedom Fighters chief whip Floyd Shivambu. Nene’s failure to fully disclose and declare the meetings led to his resignation as minister in October 2018. He was replaced by Tito Mboweni. Shivambu asked Gordhan whether he was aware or informed between May 2009 and March 2017 that Nene was meeting members of the Gupta family. In his reply, Gordhan told Shivambu that he was not aware of any of the meetings Nene attended during his time as deputy minister of finance. He added: "I have never attended, arranged or agreed to meetings with members of the Gupta family. I have encountered one or more members of this family at public events, for example, a cricket match. I was introduced to one of the Gupta brothers by the former President at the Mahlamba Ndlopfu residence, around 2009-10, during which a brief discussion on small business finance took place." Gordhan said he was told by the former chief of staff in the Finance Ministry of a meeting in Pretoria, during mid-2010, with one of the founders of the Reliance group of companies in India, about possible investment in South Africa. "I am advised that a Gupta brother may have been present at this meeting. I have no specific recollection of this. I recall Mr Ajay Gupta was present at a New Age media breakfast briefing held following the State of the Nation Address, at which I was present to support the President in his post-State of the Nation public activities. 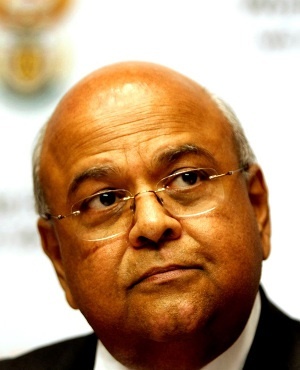 This was possibly in 2013," Gordhan said. This is what the minister previously told the Zondo commission of inquiry into state capture. EFF leader Julius Malema had called Gordhan "corrupt" and "a dog of white monopoly capital" last year while Gordhan was testifying before the Zondo commission. In November Gordhan lodged complaints against the leaders of the red berets with police saying he had had enough of their "lies" and "racism". The EFF then laid charges against the minister including alleged contraventions of the Intelligence Act, racketeering and money laundering, fraud and perjury. Gordhan has dismissed all the charges as "baseless lies". Malema is due to appear in the Equality Court on February 4.